The Howard County Poetry and Literature Society welcomes Mission Continues Fellow and volunteer Sebastian Warren to its staff for the next six months to assist with special projects. 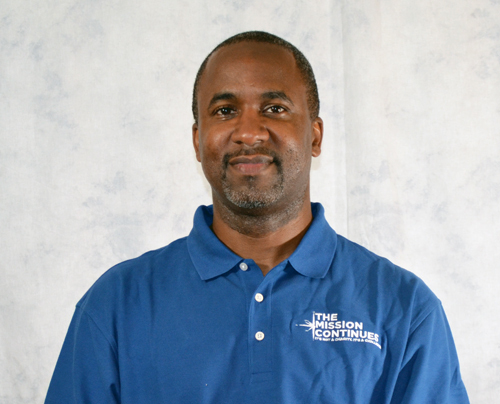 Sebastian G. Warren of The Mission Continues will combine his passion for the arts and literature with more than 23 years of professional public affairs experience from both the private and public sector to assist HoCoPoLitSo with various special projects. The Mission Continues Fellowship Program provides post-9/11 veterans the opportunity to rebuild a sense of purpose through community service. Veterans learn to translate their military experiences into civilian skill sets, while earning a modest living stipend. A typical fellowship covers 28 weeks, during which the Fellow serves his or her community through a local charitable organization like the Howard County Poetry and Literature Society. Warren is a Post 9/11 Veteran who served in the U.S. Coast Guard shortly after the events of 9/11. He was mobilized as a Reservist and worked out of Coast Guard headquarters in Washington, D.C. Previously, he worked as a consultant and defense contractor supporting Department of Defense clients, as a Federal government employee, as an employee owned trade news agency, and served on active duty with the Coast Guard. He has handled several high profile national and international news events as a public affairs practitioner, and covered health care issues on Capitol Hill as well as state and Federal regulatory and legislative issues. The Mission Continues challenges veterans to serve and lead in communities across America. The organization was founded by former US Navy SEAL Eric Greitens in 2007 when he returned from his final deployment to Iraq, fueled by the deep belief that veterans are civic assets. The Mission Continues offers six-month community service fellowships to veterans, awarding over 450 fellowships to date. The organization does not offer charity; rather, it challenges returning service members to utilize their tremendous skills and leadership to continue serving our country at home. For more information about The Mission Continues, please visit http://www.missioncontinues.org. For more information about HoCoPoLitSo and its sponsored programs and activities, visit their website at http://hocopolitso.org.